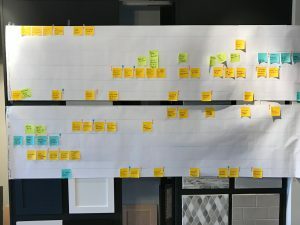 We’ve talked about LEAN before on the show with our own experts, but you may wonder what it looks like in the real world. Today we’ll hear about using LEAN in the remodeling business from an award-winning design-build company that focuses on residential remodeling. In this episode, Paul Kowalski shares his experiences in applying LEAN in his business with Victoria and Mark. His company recently implemented the process, and he says the results have already been eye-opening. Paul Kowalski is the owner of PK Builders in Charlotte, NC, and a member of our Remodelers Advantage Roundtables group. PK Builders has a team of eight, including Paul, with four Project Managers, an Estimator, and a Draftsman. Paul and his team are deep in the LEAN process, and excited to see what their future brings, including how it affects their positive cash flow. They’ll be looking at the Production process as their experience with LEAN continues. We’ll check in with Paul on how it’s going in the future. Here’s that 16-ft. piece of paper! See the video Paul talks about outlining LEAN principles from the Food Bank For New York City on YouTube. If you want to learn more about LEAN, and download the free process mapping tool, go to leanremodeling.com.